3.8 Out of 5 Average Rating | 0% would recommend. This is the first item that I bought from WConcept, but not the first pair of shoes that I bought from a US website from Australia. I was so looking forward to it. Now I am super disappointed. This pair of low heels is shockingly big! I can easily fit my thumb in both shoes after I wear them. In the photo attached, the black low heels Australian size 8. The blue flat is Australian size 9. Both fit well for me. This pair is size 8.5. It is bigger than both of my own shoes. It is so unfortunate because the leather is so soft., the colour is nice. and I love the design too. But they are so big that make my feet look like a giant and also slip down when I try to walk. Now I also cannot return them. Disaster! My feet were bleeding within 30 mins of walking outside. Not even blisters. My right foot is now with two bandages as the shoes cut both of the sides and the back of my ankles. I'd say they look good but the quality is disappointing. 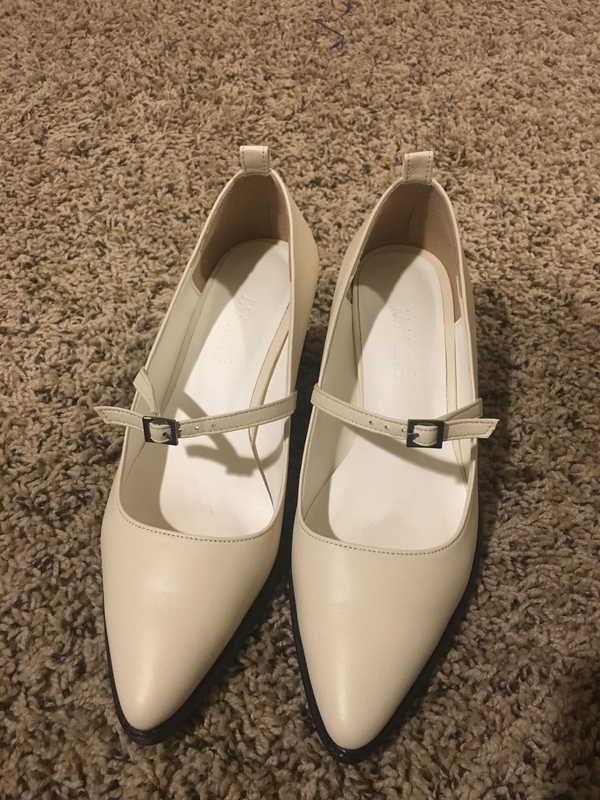 You can easily find foot friendly shoes at the price point. Like the shoes, looks beautiful wear it but not very comfortable. Can only wear for half a day.